This book is a critical review of the very popular Left Behind series, plus one of the books in the Left Behind: The Kids series, and the first book in a new series called Babylon Rising. Tim LaHaye is co-author with Jerry B. Jenkins of the first two series and with Greg Dinallo of the third series. All three series presume that a theological system called pre-millennial dispensationalism is the correct interpretation of the Bible, which the serieses’ authors are sure is the infallible word of God, having no errors of any kind—theological or otherwise. One of the centerpieces of this interpretation is that the church of Christ will be raptured (i.e. caught up in the air) to be with Christ for seven years. During that time people who have been left behind will have an opportunity to accept Christ as savior, but they will have to pass through a seven-year period called the tribulation—a time of unimaginable horror. Satan, through his tool the Antichrist, will rule the world throughout the tribulation. At its end, Christ will appear with his heavenly army and defeat the forces of Antichrist in the battle of Armageddon. After that Christ will establish an earthly kingdom lasting exactly 1000 years, during which Satan will be bound in the bottomless pit. 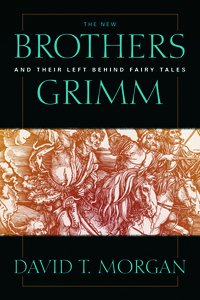 The New Brother’s Grimm examines the twelve volumes in the original series and one book each from the spin-off series, relating the story and the theological arguments of each book and then challenges those arguments. Ultimately, the author suggests that the theological premises set forth in the series are at best dubious and at the worst theological snake oil.